This is a guest post by Kylie Johnson. Kylie is the editor at Green and Growing. Climate change has had a profound effect on the Earth’s weather. Climate change has impacted the natural rhythms of weather, the behavior of animals, and the blooming of flowers. One of the most impacted populations by climate change are pollinators who are facing unprecedented difficulties as they struggle to survive. First of all, what is climate change? Climate is the long-term weather averages, as opposed to weather which is the short-term observances of the local climate over hours and weeks. Climate is far more difficult for people to understand as climate data is tracked over years, decades, and centuries. Therefore, climate change is observed drastic changes from the norm in the world’s weather patterns during a long period of time. Scientists are able to compare one area’s summer to a summer decades before in the same area and are able to determine whether it was drier or wetter than average. 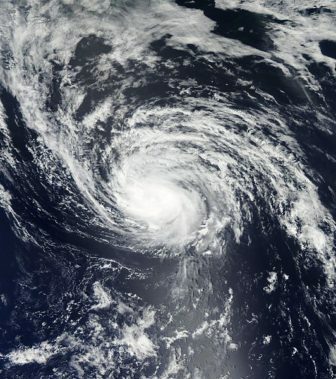 Climate change has more drastic effects that can be immediately observed; for example, hurricanes like Hurricane Harvey that occurred in late summer 2017 was fueled by warmer waters and, consequently, was more destructive than hurricanes in the past. Humans all over the world have been drastically impacted by climate change as the weather during the seasons has become more extreme than it has been in the past. In some areas, summer has become drier and hotter, and in other areas winter is lasting longer with far more storms and blizzards. Humans have struggled to adapt to these changes as the violent unpredictable weather has become more common than it has in the past. If a more adaptable and resilient species like human beings are having difficulty adapting to climate change, it becomes far more understandable why a more fragile group such as pollinators are having immense difficulty coping and surviving. Bees, in particular, are facing the danger of a phenomenon called colony collapse disorder (CCD). A paper from Oregon State University explains CCD: “CCD most likely stems from a combination of problems associated with agricultural beekeeping, including pathogens, nutritional deficiencies and lack of a varied diet, exposure to neonicotinoid insecticides and other pesticides, lack of genetic diversity, habitat loss, and transportation stress. 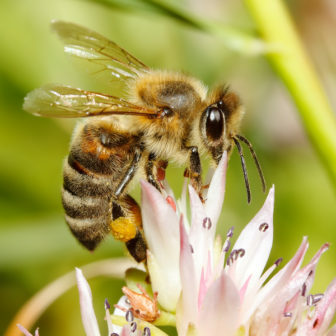 Pesticides, stress, and lack of diversity can actually exacerbate the vulnerability of bees to pathogens.” Habitat loss, nutritional deficiencies, and lack of varied diet are tied directly to climate change as the abnormal climate is impacting the growth of plants and flowers. Climate change is making flowers bloom half a day earlier each year, which means that plants are now blooming a month earlier than 45 years ago. Plants blooming earlier ultimately means that they do not get pollinated and bees are left without food. As bee colonies continue to be affected by CCD, humans will continue to see the impact of CCD on their plants and crops. The website GreenLivingIdeas states, “NEEF reports that about 1,000 plants we depend on for food and products need to be pollinated by animals, including coffee, tasty snacks like melon, chocolate and almonds, and even tequila.” According to the website, 75% plants in our yards depend on insects and animals to pollinate them, and bees in particular “add more than $15 billion in value to US agricultural crops each year through pollination.” If this dire trend of CCD continues, humans will face severe food shortages and grave economic consequences, not to mention the tragic ramification of bees becoming extinct. 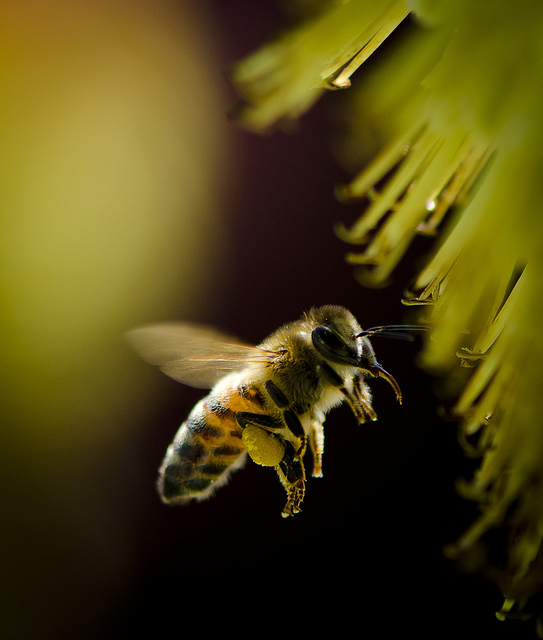 Other pollinators besides bee populations are being affected by climate change as well. Four species of hummingbirds in North America at risk because of the rising temperatures: Allen’s Hummingbird, Black-chinned Hummingbird, Calliope Hummingbird, and Rufous Hummingbird. The increasing warmer temperature is forcing these four species to abandon their native areas for more cooler and stable environments. Intense heat is incredibly dangerous for hummingbirds as it forces them to find shade to cool off rather than feed on nectar, which consequently means that they could starve since their high metabolism demands that they constantly need to eat. Bats are yet another species of pollinators that are affected by the changing climate. 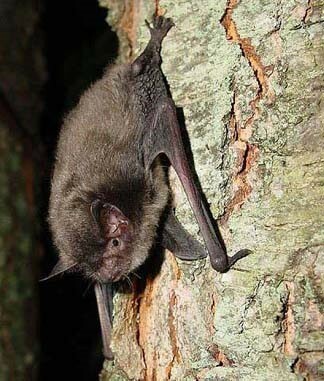 The warmer weather impacts their hibernation cycles and their prey availability, which directly affect how successfully a mother bat can give birth and raise her young. According to National Geographic, climate change is also impacting their ultrasonic hearing: “bats living in temperate zones were more likely to lose prey detection volume, while in tropic zones, many bat species will actually be able to detect more prey. Bats calling at lower pitches generally gained prey detection space” because humidity and temperature directly impact how effectively bats can detect their prey. Plant a variety of pollinator friendly flowers and plants that are native to your climate. Stop or limit the use of pesticides on your property – pesticides are toxic to pollinators. Create a habitat that is friendly to bees. This means either placing beehives on your property, leaving dead logs around that bees can nest in, and simply ensuring bees have plenty of bee-friendly plants to feed from in your yard. Providing nectar for hummingbirds on your property. You can do this by buying a feeder for hummingbirds and filling it with sugar water. Placing a bat house on your property. This will provide bats a safe place to sleep during the day. Plant milkweed plants – Monarch butterflies lay their eggs on the leaves and feed on the nectar of the flowers. Kylie Johnson is the editor at Green & Growing. She enjoy the outdoors, especially when she can go on a fun hike or adventure. She likes to focus on the perks green living. She feels it is so important to take care of our earth and hope to spread more awareness as she edits and writes.